It is a cold, dark night in February. I have been running hard for just shy of 15 hours. My legs are stiff, and my headlamp is making little cuts into my forehead. Finally, the forest opens up into a clearing and I hit the final straightaway of the race. I sprint my way to the finish, breaking the tape. A small handful of people look on and quietly clap. The claps are no louder than opera claps—the kind of claps you make with the tips of your fingers to be congratulatory but not crass. The whole scene is as rowdy as a public library, and the people are perhaps equally as nonchalant. This was a national championship. If you are looking for fame and fortune, trail running is probably not the right sport for you. There is not much glory here. Some race finishes are more animated than the finish scene I just described, but those races are mostly in Europe. Compared to basketball arenas with screaming fans, or to the clap-happy, extrovert-driven bonanza of football stadiums, trail racing is strikingly reserved. Runners don’t appear in a lot of television commercials. There is Fantasy Football, but there are no Fantasy Track Meets. And (with only a few exceptions I can think of) professional runners usually lack bravado. So, while athletics in general pertain to the honor-loving part of the soul (as Pythagoras and Plato would say), the level of attention is a magnitude reduced in distance running, as compared to other sports. At least, this is what I used to think. Now I think glory-chasing is here but in quieter forms, and that as the sport grows, it will be a greater cause of concern. There is a moment in Dante’s Divine Comedy that makes me cringe. Dante is walking through the inferno, and a few dead heroes call out to him, asking whether they are still “spoken of” in the land of the living. They don’t ask about their loved ones or descendants, whether their city-states are thriving, or whether the seeds of their labors on earth bore any fruits long-term. They don’t even care who Dante is and why a living man happens to be there. They essentially ask, “Are people still talking about me? All press is good press!” The concept here—which Dante is chastening as part of a broader cultural critique—is kleos. In Greek, glory or renown is kleos, related to ‘hearing’ or what others say about you. For Homer and Herodotus, kleos pertains to our heroes. (1) Achilles is so great that we will ‘speak of’ him forever. In Dante’s Inferno, the great heroes of the past are preoccupied with their fame because there is a false sense of immortality in this: If a person is never forgotten, he remains contemporaneous with every succeeding generation. An example in running is the case of breaking a world record. Until that record falls, you are the standard by which everyone holds themselves, so your name remains in the conversation. You have kleos. The Oxford English Dictionary defines glory as fame, ambition, exaltation, or admiration, and it is accorded by common consent. The significance of this ‘common consent’ is that (at least in a non-theological context) glory serves as a social index of what is culturally valued. That is, our heroes—the ones we ‘speak of’—represent the qualities we hold significant or excellent. In Homer’s society, these qualities were mostly related to honor and strength in battle. In today’s society, well, we ‘speak of’ the Kardashians a lot. We accord them glory, so we obviously value something they possess. I want to clarify a couple of things about this definition. First, I don’t mean to imply by drawing attention to glory that it is a bad thing. It is not. Heroes are great to have, particularly if the people we celebrate embody the right excellences (like honesty, integrity, great skill, or strong character). These people can serve as our exemplars. They can motivate us to do great deeds. Furthermore, having a cultural memory for excellent people from the past is a helpful way to overcome a lot of social ills—like vices of the present age and chronological snobbery. And, of course, there is nothing wrong with being so great that people end up talking about you. Definitely don’t hesitate to do big things or chase world records. The problem with glory is not the desire to make a positive impact—athletically or otherwise—or doing things that might result in recognition. The problem is acting from a need for recognition—to ‘hear’ your name in the sense I unpacked above. This is called vainglory. The tragedy of the people Dante encounters is that they care so much about whether they are being spoken of that they have lost any sense of what their lives mean, apart from what others say about it. As I said earlier, trail running often lacks the crowds that other sports have. (Although, perhaps this is because there are logistical obstacles to positioning yourself in the middle of the forest to cheer for a 15-hour race.) Still, I do think the trappings of vainglory apply to us because vainglory is an issue in Western culture more generally. It’s only natural that it would pervade our sport, too. Life is very strange these days in terms of ‘hearing’ and ‘speaking’ because of the internet. Our ‘public square’ is in our pockets, on our iPhones. Therefore, it is easy to develop a habit of turning outward for validation (kleos) as a primary motivator for action and to attend to what others think to a degree that is pernicious to our characters. It is easy to forgo introspection or fail to critically assess whose opinions we are listening to. While glory itself is not a bad thing, I think there are certain issues associated with glory-seeking as a primary motivator as an athlete or a person. (2) So, here are some considerations to keep in mind, while you check your motivations. Vainglory crowds out your love for other people. A friend once told me there are two ways you can enter a room, “Here I am!” or “There you are!” You can make the room about yourself, or you can make it about other people. If you are hungry for attention or are focused on what others say about you, this will impede your ability to see and hear things about anyone else. Legacy and fame are not the same things. If you do something great—like Mother Theresa or Leopold Socha (3)—you might have kleos. People might be moved to talk about your actions. But what if they never do? The impact of your actions remains the same. In terms of setting big athletic goals, we should set our intentions apart from considerations of attention (that might follow or might not) because that attention adds nothing to the actions themselves or to the people we are. And actually, if I do a good deed for the sake of garnering attention, this would undercut the goodness of the act because ‘loving others for the sake of fame,’ is an unvirtuous motivation. If you are sustained by what other people say about you, then when they stop saying things, you will sink. You won’t be fast forever, so acting to receive praise is not a sustainable motivation over the long-term. Also, if your person is formed as a response to what others say (or might say) about you, you will lack any vision for your life apart from social feedback. Actually, this sounds a lot like middle school. I hesitated in writing this article because trail running has been largely shielded from attention, such that glory has not been a feasible motivation for acting in the past. But I think we are at an interesting cultural moment in the sport. Bigger brands that had no interest in us a few years ago have entered the sport, and it is now possible for a few athletes to make a living solely as ultrarunners. There is more money on the line at big races, and there are dozens of media sources and podcasts ready to cover our performances. I think that, over the next few years, if we want to preserve the heart of trail running—which is currently marked by a hospitable community that embraces everyone’s work, and is full of talented athletes who don’t take themselves too seriously—we need to guard against the trappings of vainglory. To what extent do you feel motivated in running and life by recognition from other people? In an honest assessment, do you think you possess at least a little vainglory? Do you have some tangible ideas for how our trail running and ultrarunning community can, as Sabrina says, “guard against the trappings of vainglory” as we grow? How can we take with us a motivation for excellence and leave behind worry for how people will react to the good we do? “Herodotus.” Perseus Encyclopedia Online. Annenberg Project. Web < http://www.perseus.tufts.edu/hopper/text?doc=Perseus:text:1999.04.0004:entry=herodotus&highlight=kleos> Accessed December 25, 2018. See the beginning of Aristotle’s Nicomachean Ethics for a more thorough treatment of the appropriate ends (goals) of human life. Fame is not a complete end. Miller, C.B. The Character Gap. New York: Oxford University Press, 2018. 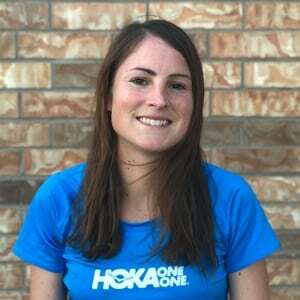 Sabrina Little is a trail runner and ultrarunner for HOKA and Nathan Sports, and a Philosophy PhD student at Baylor University. She is trying to figure out whether it is more unreasonable to pursue mountain running in Waco, Texas (elevation 470 feet) or philosophy in the year 2018. Learn more about Sabrina on her website. This was really good. Really really good. Thanks, Scotty! Means a lot. Fantastic writings! I would say that though the sport may have been shielded from external attention, the attention seeking from within (see social media) has been no less egregious than in any other area of life. It will be interesting to see what happens if/when real money enters the arena. The content on Irunfar.com is often enjoyable, often educational, and sometimes even inspirational. But the stuff in this article is potentially life-changing. I think for many of us it will be like a healthy slap in the face. :-) Thank you for something so applicable to not just running but living. Haha Yes, though I think you can use Strava for either constructive comparative purposes, or for vainglory or envy, etc. It’s a technology easily used for the wrong ends, but it’s also potentially a great place for accountability and mutual edification. Admittedly, I love Strava. Excellent piece! Most Internet social platforms have naturally evolved to smaller audio/visual content optimized for vainglory. It’s nice that IRF and others hold tight to the long form, so we can focus on the actual people and stories in the sport. Ha. Yeah, I think you’re right that social media is “optimized” for vainglory. I wonder if there’s a way it could be restructured so that it was not. I appreciate your thoughts. A really well constructed article and relevant to society as a whole today. How do we get our children coming up in the age of social platforms that are geared more to vain glory and self confirmation -to embrace the philosophical thoughts like Sabrina has laid out? Raising a young girl, these are real issues I grapple with as I know she will face a whole host of vain glory situations as she grows. As runners, but as parents and role models alike we start in our tiny corners to remember “to be in the room” and listen. Also to move with our passions for passion-sake alone. Thanks Sabrina, always enjoy your articles!! This will perhaps add to Sabrina’s sense of kleos, but her articles are a great addition to irunfar. Sabrina, you might being interested in Jennifer Crocker’s research in social psychology on the idea of egosystem motivation, which seems to reflect many of your ideas here. Here’s a summary about it from her lab’s website. Thank you, Shawn! I just looked up her research. In philosophy, that distinction is described in terms of benign and malignant envy. I’m going to read a couple of her essays. I appreciate it.